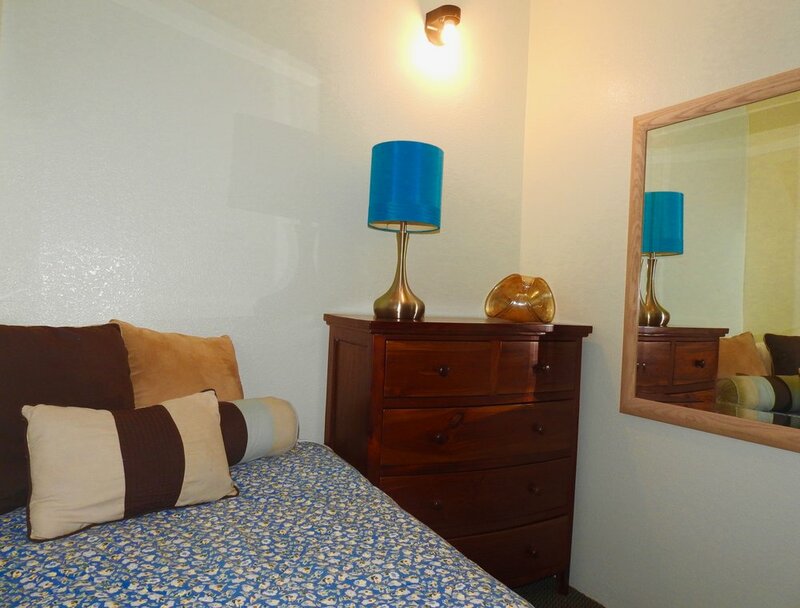 Much more private than any hotel, the Sunrise-Sunset Guest House is the beautifully-maintained studio of your dreams! 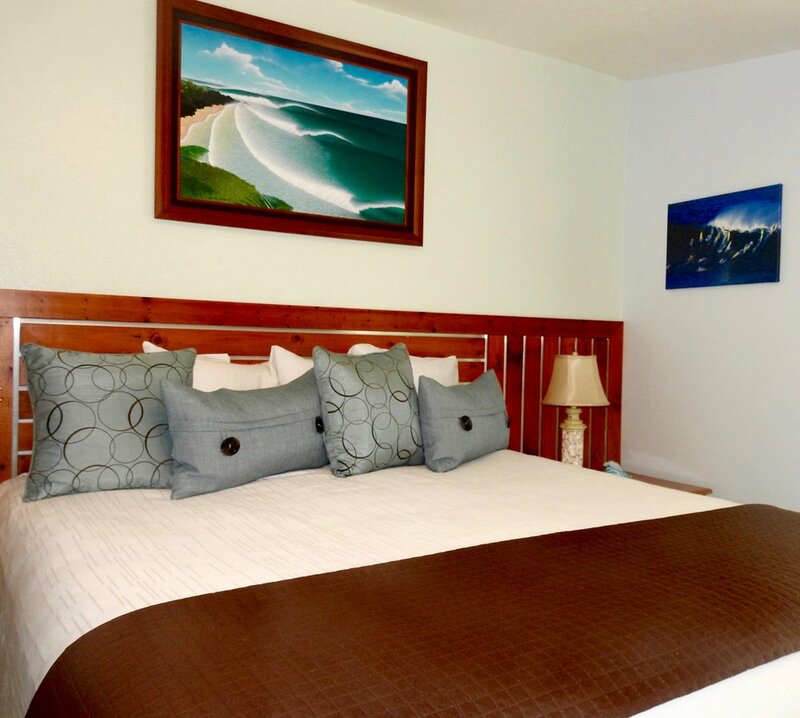 From the moment you pull into the driveway, you'll know you picked only the best option for where to stay on the North Shore of Oahu. 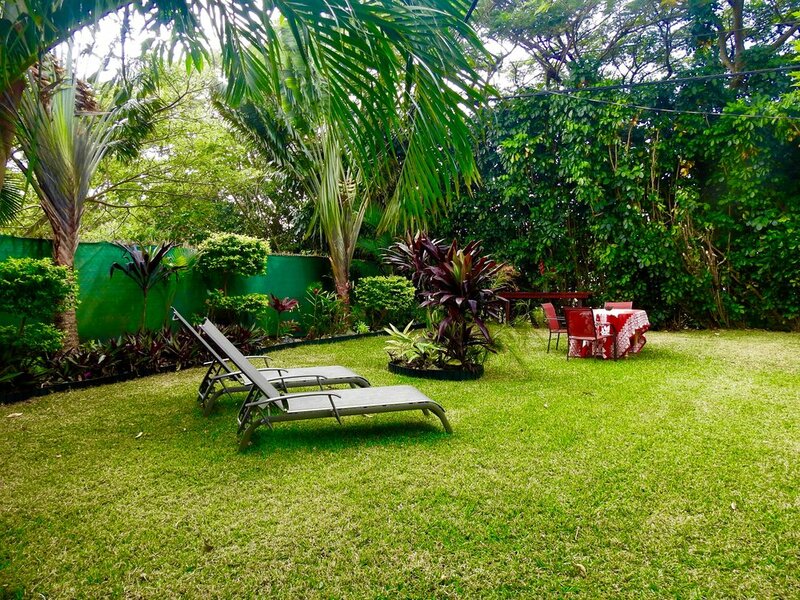 This Guest House begins with parking immediately next to your private entrance -- which leads out into your own lush green garden with lounge chairs, a table, and a papaya tree at your front door! 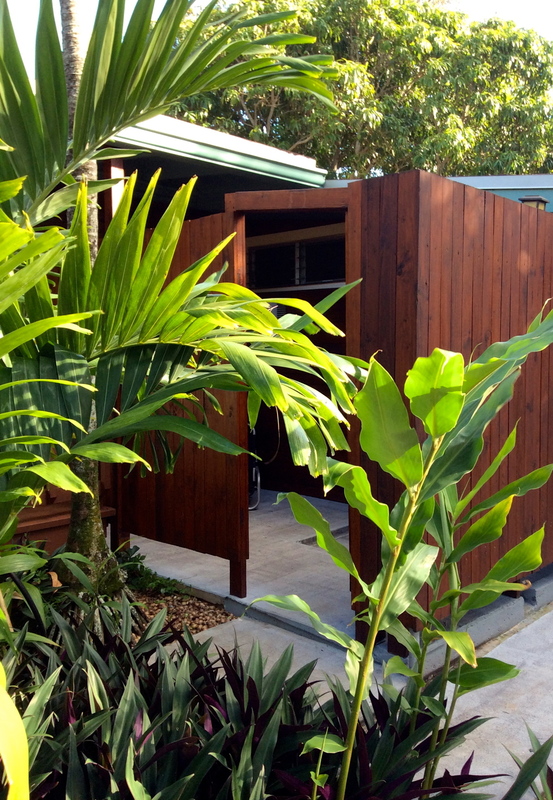 Once inside, you'll see your comfortable king-size bed waiting for you after a happy day out at Sunset Beach, just 100 yards away. 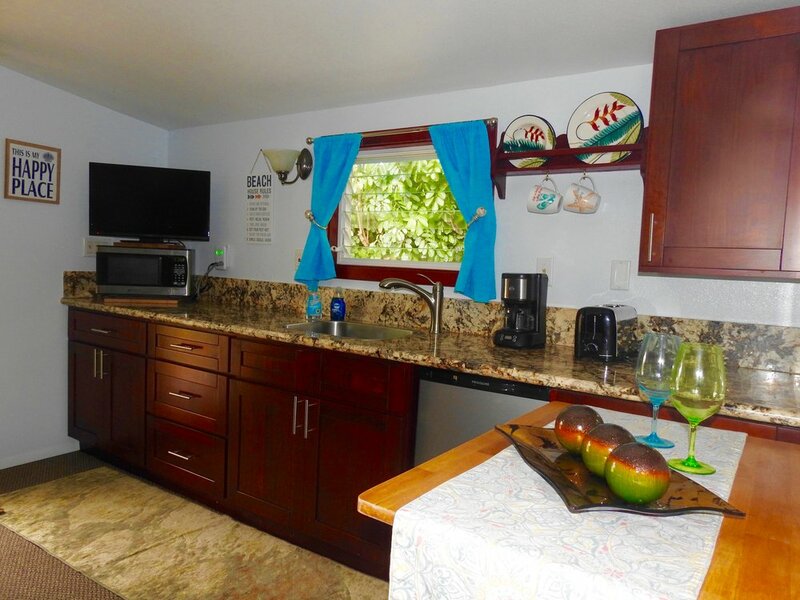 Then, there is a small bathroom, kitchenette with small hotplate and refrigerator, and a semi-private mini bedroom with a twin-size bed for a small child (or to store your new purchases from shopping in Haleiwa - you decide)! 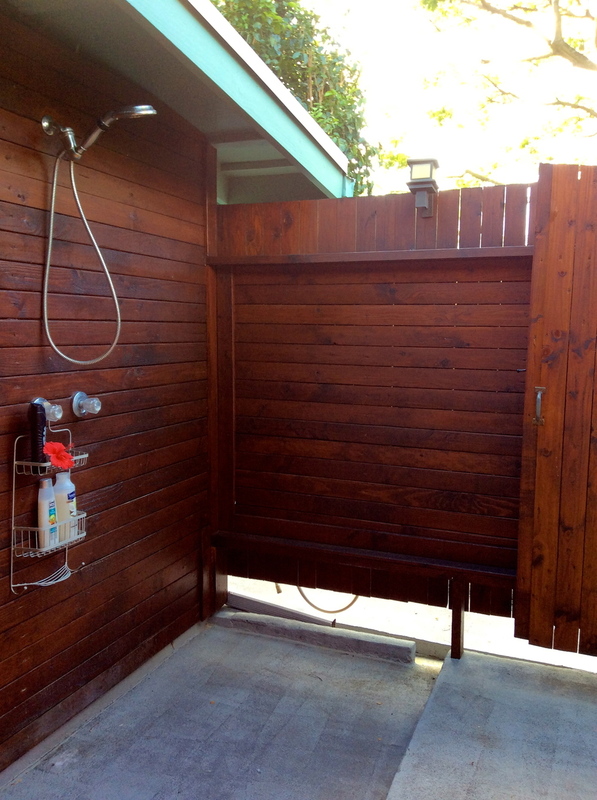 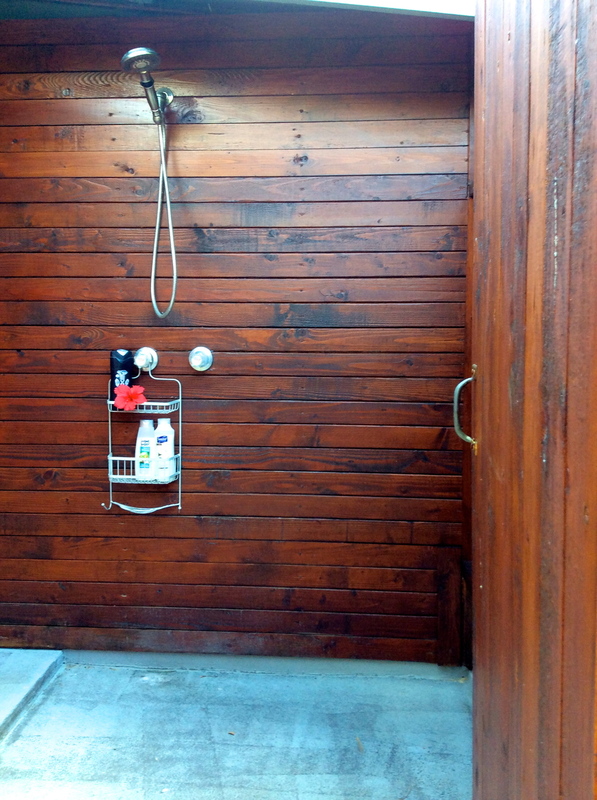 Last, but perhaps most exciting, the Guest House offers a true North Shore delight: an incredibly spacious outdoor shower, attached to the House. 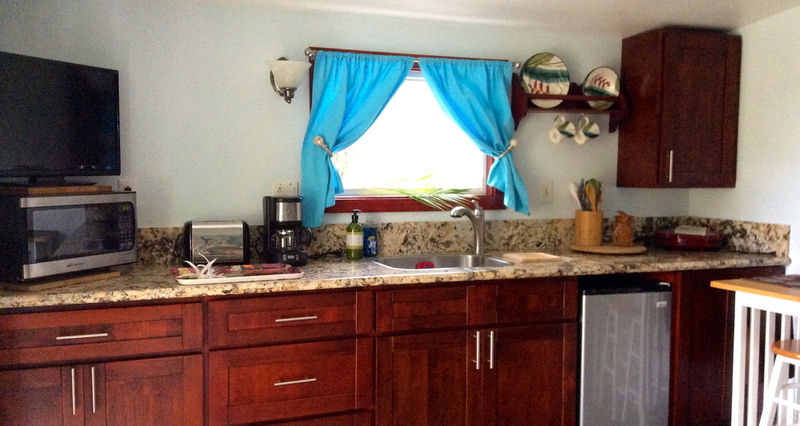 You'll be living like a local and loving life in your home-away-from-home, but when you're ready to head to Rocky Point or Sunset Beach, we do provide plenty of fresh beach and bath towels for your needs! 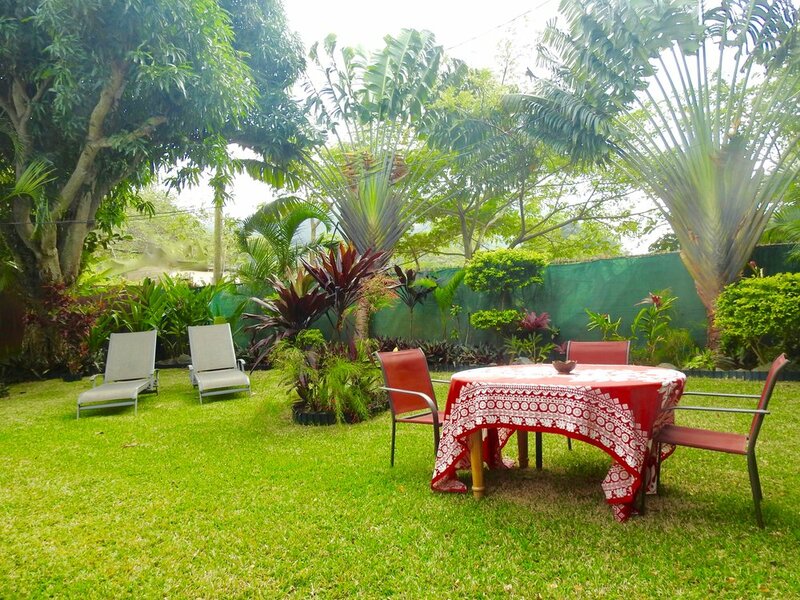 The Sunrise-Sunset Guest House is the place to be for a couple wanting a romantic getaway or a surfer who wants access to the best breaks within a short jog.